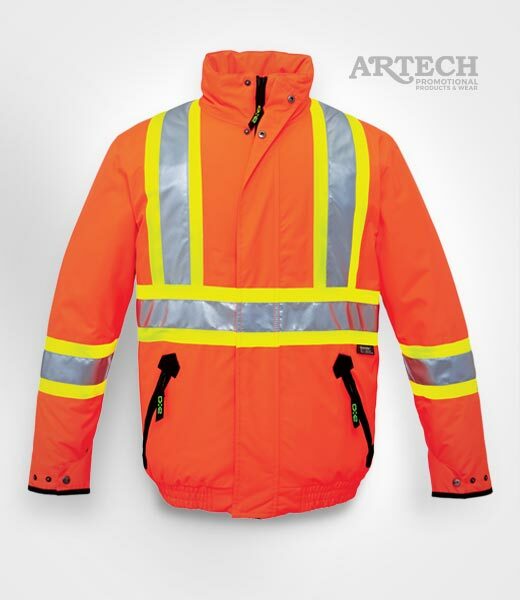 The high-vis safety jacket with the perfect combination of quality and price for construction, ground crew, warehouse and transport workers. The durable CX2 winter jacket is a client pleaser lasting seasons in rugged working environments. Put your logo on safety wear and keep your team warm will they support the brand. Buy them blank or get custom embroidery of your logo. Custom embroidery of your logo or design is the best finishing process on hi-vis winter jackets and parkas. Setup costs for one location with up to 10,000 stitches are included in the online price. Additional setup costs for more locations. Artech Promotional pride themselves on quality embroidery and with an award winning team you won't be disappointed. Vinyl transfers can be digitally printed in full colour or CAD Cut from various colours to suite your requirements. Please contact us for more information about the process or a quote for your custom apparel. Your team won’t go unnoticed for the right reasons. The Sumaggo High Visibility 5 Point Tear Away Vest with 3M Scotchlite reflective strips is a must for many work sites.